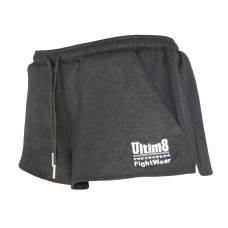 Multifunctional shorts (fitness, weight, crossfit, boxing, running, ...). 100% Polyester Dry-Fit fab..
Unisex neon pink Dry-Fit fabric. Black embroidery. Black stretch panel on the side. Black satin be..
100% grey cotton shorts with stretch ribbed side panels for comfort. Ribbed cotton waist with draws.. 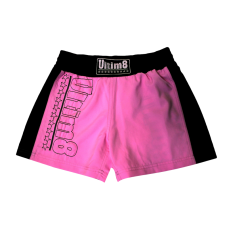 Wear them alone for fitness training or under your Muay Thaï shorts! Flat "elastic-free" waist band.. Using the same coated cotton fabric as our sleeveless jacket, those multi-purpose shorts can be worn..
Short and unisex version of the best selling MMA shorts! Plain black satin fabric, multistretch pan..